This is a review of the Miller multimatic 220 AC/DC welder. Have you been waiting for a Miller inverter welder that can do all processes and all materials? A multiprocess welder that can do AC tig welding of aluminum with high frequency start, in addition having mig, stick, and flux core option? Multiprocess machines that can do lift arc DC tig, mig, and stick are not a new thing. Those machines are very useful but they are missing one thing. 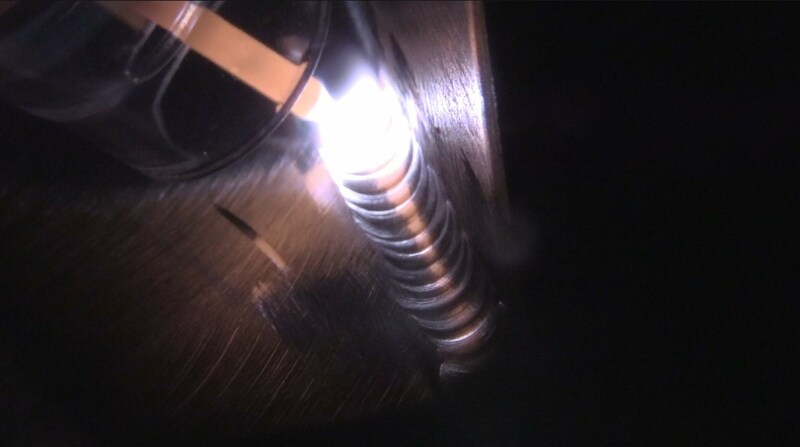 The ability to tig weld aluminum on AC. All that has changed now. One welder really can handle all the welding needs for a whole lot of shops. As well as being a mig, stick, or flux core welder. The Miller Multimatic 220 AC DC welder lets you tig weld aluminum! The ability to do all processes and all metals makes this inverter multiprocess welder extremely functional. I have received a lot of questions about this machine. So I asked Miller if they were interested in sending me one to review. They agreed for me to do an honest review and say what I wanted. 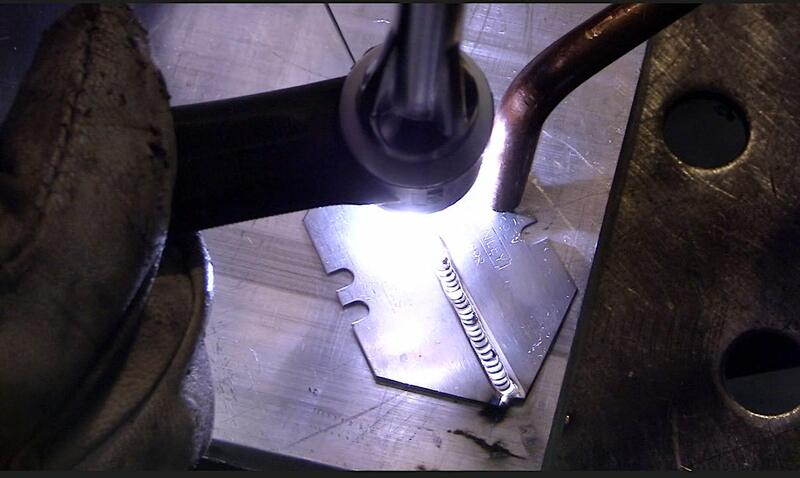 This is part 1 of a review where I will test out the main TIG features. 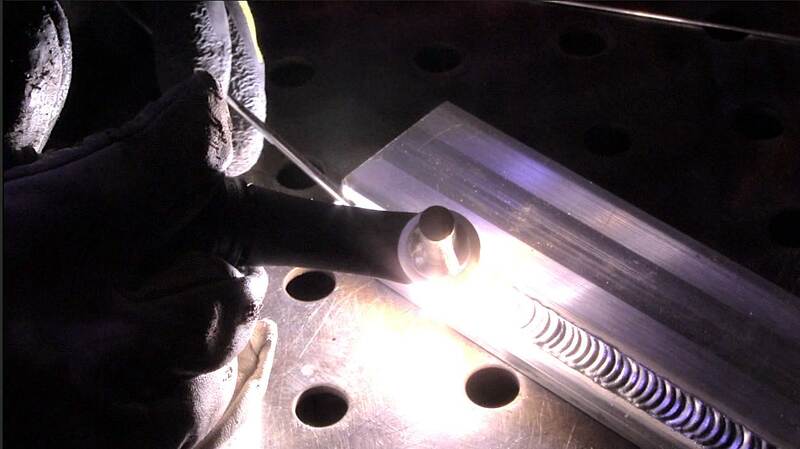 All of the previous multiprocess welders I have owned were limited to lift arc tig, mig, flux core and stick welding. And they have all done just OK. 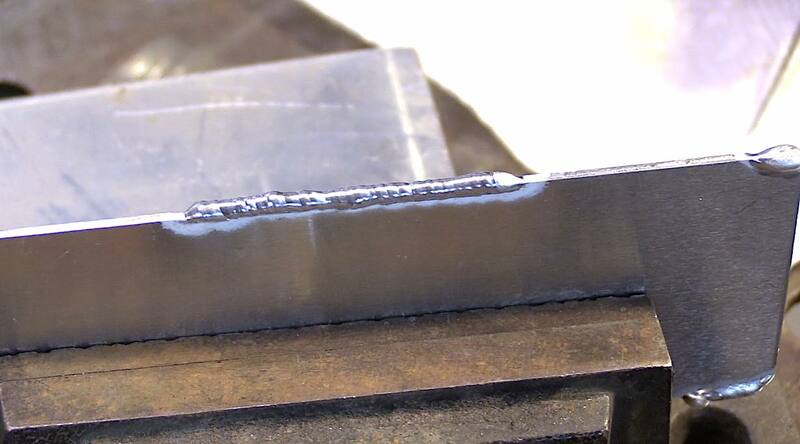 It is common for mutlprocess welders to do one process better than the others and just OK on some. So for this video, I am really more curious on how the tig function works. The main things I want to know about any tig welder is are the starts crisp and at what amperage does the tig arc start. The amperage range for TIG on this welder is listed as 20-210 amps. If the low end amp start is 20 amps, that might nip the edge of really thin sheet metal. So in order to demonstrate that, I welded on some .024” thick box cutter blades. and it was a challenge to strike an arc on the edge of a box cutter blade without nipping or melting away the edge. And what about the high amperage range on DC tig? In order to test the low end aluminum arc, I also lit up on the edge of a .063” piece of aluminum. What about the aluminum arc at higher amperage? So I welded a lap joint using 1/4” thick aluminum at 210 amps.